Get your hair appointment booked. It’s time to smile for the camera for school yearbook pictures. Ninth-11th grade students will have their school portraits taken on either Sept. 5 or 6 during their English classes. B&E Photography will take the portraits on the auditorium stage. “Students should enter the auditorium through the back doors so they will not crowd the stage area,” Yearbook Editor in Chief Maddie Smith said. Elementary dress from the waist up. All shirts must have sleeves. 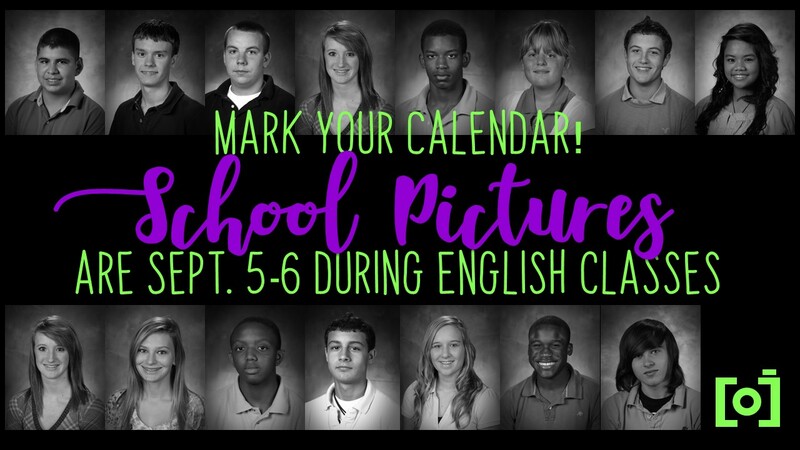 English teachers Autry, Bayron, Bergmann, May, Raymond, Stevenson, Terry, Whitney and Wilson’s class picture date is Wednesday, Sept. 5. English teachers Capers, Comingore, Hazlewood, Loyd, Moore, Seed and Simmons’ class picture date is Thursday, Sept. 6. Students may wear any blouse or shirt with sleeves on their picture day. Standardized dress must be worn from the waist down, unless it is a spirit day. Photo packets will be delivered to English classes a few days before the portrait dates along with a yearbook order form. Students who know that they will be absent on their assigned picture day need to come to the auditorium stage during Power Hour on the picture day that they will be at school to have their portrait taken.